I'm tired of these resurrection claims, call me when they actually succeed. I am pretty sure they already succeeded with several species but are very reluctant to share any information. It's not like the genome is simple. And sample DNA from dead carcasses are quite fragmented. Same.. they should stop talking about what they will do.. and just do it.. Since many years they have been talking and talking about cloning but nothing happens. Less talk and more action. YEKATERINBURG, December 7. /TASS/. Russia's first meteorite expedition leaves for Antarctica next week to search for traces of meteorite substances, a team member told TASS on Monday. 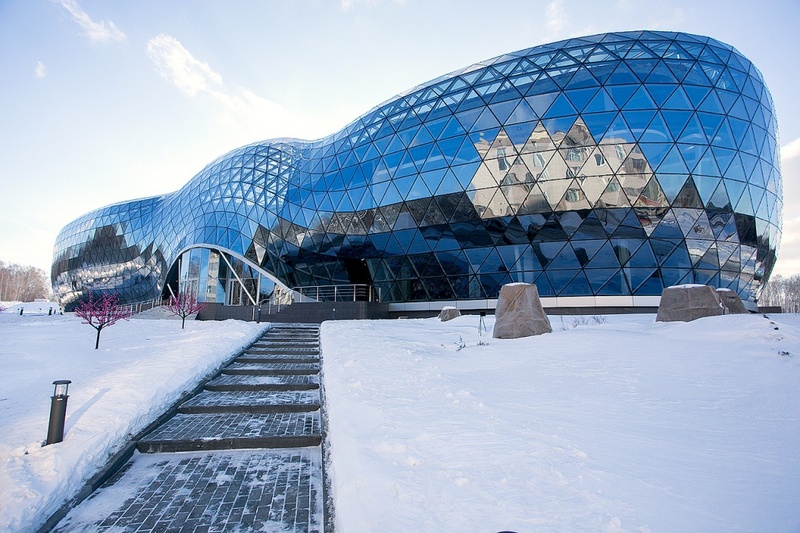 "The expedition of the Urals Federal University will set off on December 14. We will change flights in Moscow, Dubai and Cape Town," Ruslan Kolunin said, adding that the group’s equipment was sent to the South African city in October. An Il-76 plane will take the group to Novolazarevskaya, a Russian Antarctic research station at Queen Maud Land. After that, they will travel some 250 kilometres to the research site. The $150,000 expedition will last for 20 days, returning to Russia in mid-January, which is midsummer in Antarctica. ORENBURG, December 7. /TASS/. Bones of a flightless bird living some 70 million years ago have been found in Russia for the first time, an official at the All-Russian Paleontological Society said on Monday. Remains of the so-called Elephant bird, which could run like an ostrich and was some 80 centimetres tall, have been discovered in the Orenburg region in the south Urals, Vladimir Yefimov told TASS. "Previously, remains of such birds were found only in America," he said. "We’d like to compare our discovery with those from there." An ancient seabird, Ichthyornis, was discovered in this region earlier in the year, proving theories that a huge sea stretching from the southern Urals to the Arctic existed 70 million years ago. MOSCOW, December 8. /TASS/. Russian scientists are planning to put in orbit on board a space satellite a variety of microorganisms that have spent millions of years in permafrost layers in the Arctic and the Antarctic. They hope this may take them closer to answering the question if Martian conditions are or ever were livable and if yes, to what extent, the science supervisor of the experiment due in 2020, research fellow at the Institute of Physical, Chemical and Biological Soil Studies, Yelizaveta Rivkina, told TASS. "The purpose of the experiment is to see if certain life forms can last long enough in conditions different from those we have on the Earth. For instance, on Mars. We would like to see if bacteria can survive in such environments. Isn’t it possible that on some distant planet we may suddenly discover something what we had brought there ourselves a long while ago?" Rivkina said. She foresees a slight possibility inter-planetary space probes may have brought some life forms to other planets. One of the tasks of the experiment is to prove whether bacteria from the Earth can survive in conditions similar to those existing on Mars. Bacteria and other protozoa, for instance, infusoria and amoebae, were selected for the space flight in the oldest permafrost layers in the northern hemisphere - the area of the Kolyma lowlands, in Northeastern Siberia, and in Antarctica’s Wright Valley, Pearse Valley and Table Mountain. The samples from the Arctic are at least one million years old. "We plan to put in space both the original samples - to see how survivable the biota is - and separate microbiological cultures derived from the permafrost samples," Rivkina said. The samples from the Arctic are one million years or more. More accurate data regarding the age of the probes from Antarctica are not available at the moment. The expedition that gathered them focused on finding permafrost layers aged about 30 million years. "The expedition’s original purpose was to identify the oldest permafrost sample on Earth," Rivkina said. The experiment has been authorized by the Russian Academy of Sciences’ council for space as part of the program for research and experiments to be staged on board the Bion-M N.2 satellite, to be launched in 2020. The satellite will be propelled to an altitude of 800-1,000 kilometers above the Earth’s surface - twice higher than the International Space Station. The satellite will remain in flight for 30 days. Bacteria were the first living organisms on Earth. They emerged about 3.9-3.5 billion years ago. This is a major breakthrough. If the trained cells are introduced back into the body successfully the immune system will learn from them. The immune system is adaptive and antibody creation resembles evolution, the successful antibodies are the ones that "procreate"
cells will propagate the information. I bet this will not be covered by the NATO MSM whatsoever. I also expect some NATO based "startup" to try and rip off this idea. YEKATERINBURG, December 28. /TASS/. Strong winds are delaying work of the first Russian meteorite expedition in the Antarctic, a member of the Russian Academy of Sciences committee studying the phenomena told TASS on Monday. 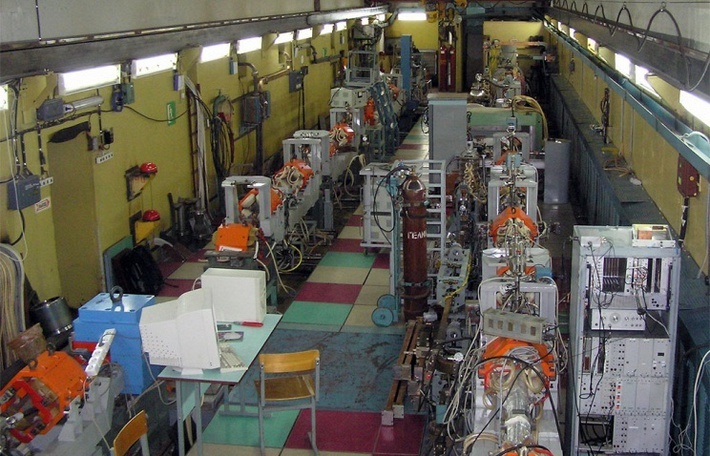 "They are located at Russia's Novolazarevskaya station," Professor Viktor Grokhovsky said. "Strong winds up to 30 meters per second prevent them from searching but this has blown the snow from the ice and it will make research work easier," the professor noted, adding that the team hoped to resume its activity in two days. The expedition set off for the 12 million-ruble ($166,000) project on December 14 and will return to Russia in mid-January. Scientists at the Institute of Geology and Mineralogy SB RAS (Novosibirsk), the world's first artificial diamonds grown special for photonic computers, reported the press-center of the Novosibirsk TASS Director of the Institute of Geology and Mineralogy SB RAS Nikolai Pokhilenko. "This year, we have learned to grow crystals with Ge defect centers. This is very important stuff. We first raised it, behind us went to the Americans, the Germans. This material is to create a new generation of computers, so-called photonic computers ", - he said. At the center of the diamond, scientists have put in place carbon atom of germanium. The name "defective", according to scientists, are any diamonds that contain anything other than carbon. His development of the scientists gave to colleagues at the Institute of Semiconductor Physics and the Institute of Automation and Electrometry SB RAS to create complex devices. A feature of photonic computers is that they do not work on the base of electronics and on the basis of photons which should provide much greater speed than conventional devices - about 10 million times. Such a computer, according to the scientist, makes it possible to create artificial intelligence. 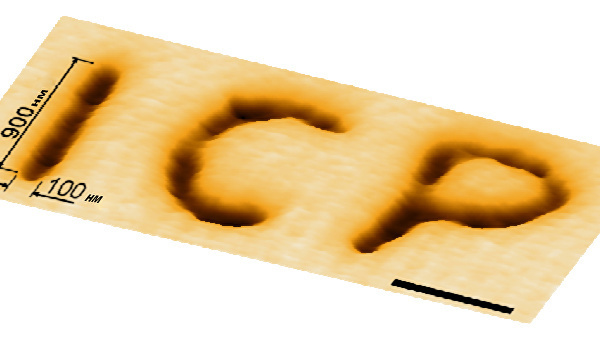 Another feature of photonic computer is able to work at temperatures ranging from 0 to 900 degrees. "If you compare the speed of movement of the snail and of supersonic missiles - about the same as comparing the speed of a conventional device that will be created on the basis of this material," - added Pokhilenko. "Modern microprocessors based on gallium arsenide or silicon make it possible to generate, amplify frequencies of the order a few tens of megahertz, and then not working. And they can come in the terahertz range, in petagertsovye. This is very different speed, "- he said. This is very important. Rostec's involvement and plus these universities (guaranteed to be contracted by Rostec) is what I have been saying that Russia needs to do for years: Not catch up but go a different direction. As evident through China, a country cannot simply play catch up and then somehow reach same spot or advance further without its own R&D and assistance from the outside sources doing the same (Japan and S.Korea with the US and UK as example). This is a different approach; looking at a method that goes beyond standard conventional devices and using another idea to obtain same or greater results. In doing so, Russia doesn't have to play catch up at all, but instead, develop its own technology and know-how in order to create the devices that are needed to fill the same rolls as the conventional devices do, and do it at their own game in its own. The question is the take off of such a development. Guaranteed it is being looked at specifically for the military industrial complexes and certain industries (Rosatom would also gain a lot over this): But what about none government industries? It will require companies like T-Platforms, Kraftway and such to become interested in it, which I imagine they will if the results are there. KRET and such believe so and are currently working on it. Does this mean to stop conventional methods as well? No. Because that is still a demanded market. But with this, this could supplement it with a whole different and new line of systems. Will it come out for civil use? Probably not, at least not even close to soon. But this could be Russia's alternative attempt at supercomputing/quantum computing. "Using the silicon-germanium parts of a modern transistor to build the photodetector took advantage of germanium's ability to absorb light and convert it into electricity. " I am not sure. But I imagine it is because Russia is looking into the entire process being domestic to be able to reach the same point. Although, this is interesting that the west is also looking into it as well. But while it seems to be specific the use of the photonics in microelectronics, it seems Russia has a wide array of ideas as to how photonics in microelectronics will be used. What I find interesting in that article is the lack of the photo of the processor itself and screenshots of its tests (which it was tested according to the article). Not saying it didn't happen, but I am curious about this achievement. Will be interesting to see what the total outcome will be. Russia has KRET/Rostec funding the research while US has DARPA to do it. I imagine as well Russia's equivalent of DARPA is also funding it. It was much like the supercolliders. All this massive news about US and European super colliders, yet the Russian one no word. Then all of a sudden, there are like three of them in Russia already operational. Russia seems to just lack the PR sector of it all. to the whole photonics development effort. It will enable processors and the necessary density of components. The above is a gimmick and not a genuine photonic processor. It merely uses light for external IO. Big f*cking whoop. How about actually making all the transistors photonic. Photonic transistors are at the demonstrator stage and not the IC production stage. allowed the shrinking of critical components enabling portability. I seriously see lack of PR on Russian end though. That is indeed their own faults that people have such a bad perceived viewpoint of Russian tech even within Russia itself. But what is funny is that Russia has had quite a few breakthroughs in both Photonics use in microelectronics and Quantum Computing. Not many have such breakthroughs, but Russian breakthroughs get nearly 0 publicity. MOSCOW, January 15 - RIA Novosti. The Russian scientists from MIPT, ICP them. Semenov Institute of Chemical Physics, Moscow State University, and established a mechanism of laser deposition patterns on the glass with a resolution of 1000 times smaller than the width of a human hair, according to the press service of the MIPT. Focusing the laser was made using small glass spheres that act as lenses. This mechanism allows cheap and fairly easy to apply complex patterns on a glass surface to obtain a spatial resolution of less than 100 nanometers. The proposed method will quickly and cheaply create nanoscale sensors and microchips. As scientists say, it is much cheaper and technologically easier its competitors, despite the fact that allows the application to set the computer drawings on the glass surface with an acceptable resolution. To demonstrate this method was applied to the glass abbreviation Institute of Chemical Physics (ICP) with high resolution (about 100 nanometers). Nanogravirovka, in particular, is used to create high-precision circuits in microfluidics: engraved on the channels may leak hydraulic fluid, connecting the various parts of the circuit, and the size of such a scheme, the smaller the higher the resolution of the engraving. A femtosecond laser used by scientists capable of applying complex two- and three-dimensional structures on the surface of a transparent material. Resolution - the minimum size of the details of such a structure - is always a problem in this kind of problems, since it is limited to the bottom (for physical reasons) wavelength laser. The higher the resolution, the smaller the structures applied, and more interesting and sought-after technology in these structures. To improve the resolution is often used near-field effect. This process involves focusing a laser beam, using as a "lens", metallic nanoparticles or microspheres dielectric layer. However, these methods complicate the application as the "lens" are fixed in space. In their paper, the authors propose a different approach: using a beam of light in a fluid creates a kind of a trap, which is placed with glass beads. The advantage of this method consists in focusing that the "trap" may be moved, thereby moving the "lens" in space and focusing the laser to the desired area of ​​the glass. However, a "hold" with a laser beam on the surface is not enough. Exposure to laser leads to the formation of hillocks and no depressions. These hillocks not smooth enough and wide, but the effect of alkali at a temperature of 90 ° C makes the bumps in the smooth holes have a smaller width. If such a two-step structuring achieved resolution below 100 nanometers (nm), then a one-step, when the surface is treated with only a laser, not accuracy is obtained below 150-200 nm, depending on the complexity of the structures. As a result, the whole technology of drawing is as follows. Initially the glass surface is irradiated with a femtosecond laser. The laser pulse is focused by means of glass bead, which is guided by an optical "trap", beforehand in a predetermined area of ​​the glass. On a surface of glass formed broad lumps which are then, after surface treatment with an alkaline solution, converted to smaller pits and more streamlined shapes. In addition to direct structuring technology, the dependence of the resolution was investigated, ie. e. the size of craters on the laser power. The results show that, for greater accuracy more effective to use a small sphere, whereby resolution can reach below 100 nm. The minimum width of the crater thus obtained was 70 nm. For the practical application of this method in addition to the high resolution, you must also take into account the complexity of applying the full machining structures. It is shown that can be applied fairly complex structures using the described technique. For this purpose, the glass surface was coated abbreviation Institute of Chemical Physics - ICP (Eng . : Institute of Chemical Physics). "Creating a thin grooves and channels can be used in the production of" microfluidics "and various" nanozavodov ", which are used in chemistry and biology," - says co-author, graduate student of the Faculty of General and Applied Physics MIPT, Alexander Shakhov. In the development of small accurate sensors working with liquid - "channels" is applied to a liquid by such techniques. The paper also proposed a fast enough and cheap mechanism for nanostructuring. This approach may in particular allow a rapid and uncomplicated technologically create cheap instruments and sensors by applying a complex pattern of thin grooves and channels through which hydraulic fluid will flow. OK I did a bit of research, I think I got it. It's apples and oranges with regard to previous link I posted, that system is more conventional. The Institute of Geology and Mineralogy SB RAS's development is more revolutionary. Ultra pure synthetic diamonds can have gaps in their crystalline atomic structure, and if you insert one germanium atom into one of these gap it emits a single photon. Basically, you can code a carbon diamond to emit specific photons with predictable wavelengths with these germanium atom "impurities". What's huge about this, is that a diamond based quantum processor could operate at room temperature. These Diamonds Don’t Just Sparkle, They Fluoresce! While the translation of the Russian article is unclear, what it sounds like is that the Institute of Geology and Mineralogy created synthetic diamonds with a consistent dispersion of the "gaps" in which germanium atoms can be placed. I think, but I'm not certain that these specific diamond's are what was used in the above study. Zivo wrote: Admittedly, I haven't been following this closely, but how are these Russian breakthroughs different than the photonic memory, and photonic processors developed in the west? Photonics: from the laser to the "radar sight"
Currently photonics in Russia involved about 850 companies. Most of them are concentrated in the Moscow region, St. Petersburg, Novosibirsk and the Volga region. One of the largest manufacturers in this field is KRET. 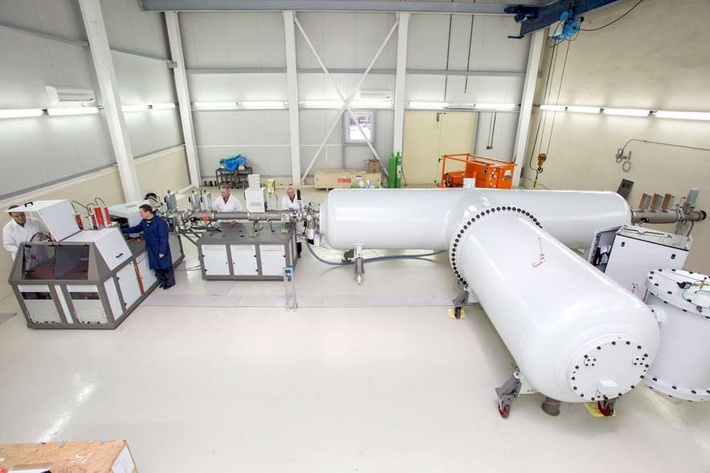 Today KRET and the Foundation for Advanced Studies (FPI), together create the element base radiofotoniki for radio astronomy, radar and other areas. The corresponding agreement was signed by the company in early 2015. The project "Development of an active phased array based radiofotoniki" includes research on the basis of the concern and the development of universal technology, which will be the basis for radar and electronic warfare systems of the new generation. MOSCOW, 8 February. /TASS/. Russians do not show much interest in the information about science and technology, however, being convinced of their awareness about the topic, tells the survey conducted between 1996 and 2015 by the Moscow-based Higher School of Economy. Public interest in scientific issues was permanently growing between 2006 and 2011. This trend reversed dramatically in 2014 showing the decrease of interest to all the fields except international policy and IT. Education, nuclear energy and space exploration suffered from the greatest decline in interest. This attitude toward science among Russians remained generally positive during the whole period of observations: the majority of Russians keep believing that science does more good than harm. Some 42% of Russians are fairly well informed about science and technology advances. For this indicator, Russia ranks 11th compared with 28 countries in Europe, where a similar survey was conducted. At the same time 27% of Russians stated that they are not interested in information about science and technology being asked the question about the sources of such information. This indication puts Russia to the 5th place from the end compared to the European Union. The share of those who read popular science press in Russia is four times less than in Europe in general. 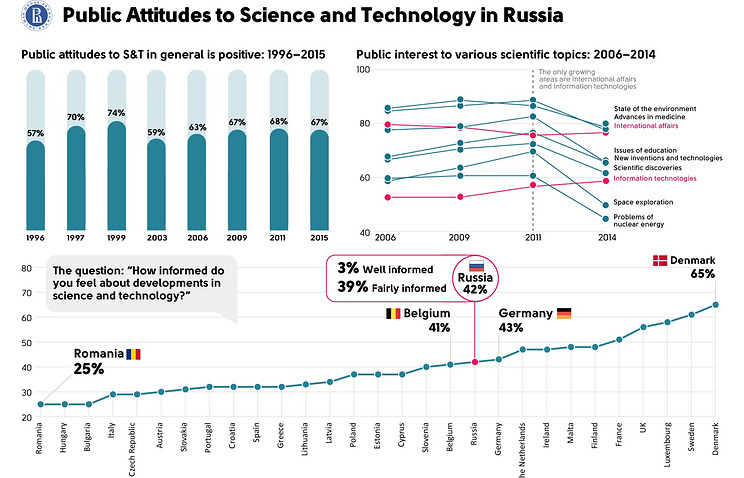 "Russians largely advance the positive attitude to science: even with declining level of interest in scientific issues the image of science itself generally positive. On the other hand, they are not very actively involved in the popular science discourse ", says Konstantin Fursov, the head of the monitoring of the project. MOSCOW, February 12. /TASS/. Russia and the United States have jointly withdrawn all radioactive sources from the Russian polar stations in the Antarctic, Russia’s Antarctic Expedition Head Valery Lukin said on Friday. "We have withdrawn 4 RITEGs [radioisotope thermoelectric generators] and 4 ionizing radiation sources. These were the last and there are no more radioactive sources at the Russian Antarctic stations," Lukin said. "They were brought to the Russian Antarctic stations in the 1960s-1970s to provide for the work of meteorologists and geophysicists," he said. All these radioactive sources have been collected and withdrawn from the Russian Antarctic stations over the past few years "thanks to cooperation between the Russian and American Antarctic Expeditions. And this was quite an uneasy logistical effort because a vessel cannot reach the territory of our country without a call [at ports on the territory of other states]," he said. "That is why, intensive talks were held with the governments of Germany and Argentina, at which territory we were allowed to call with radioactive sources. This work was successfully completed and these sources were transferred to the relevant organization for disposal," said Alexander Frolov, head of Russia’s Federal Service for Hydrometeorology and Environmental Monitoring (Rosgidromet). Apart from radioactive waste, the Russian Antarctic stations also accumulated a large amount of everyday and other waste. Specifically, Russian research and expedition vessels annually withdraw about 300 tons of garbage from the Antarctic.